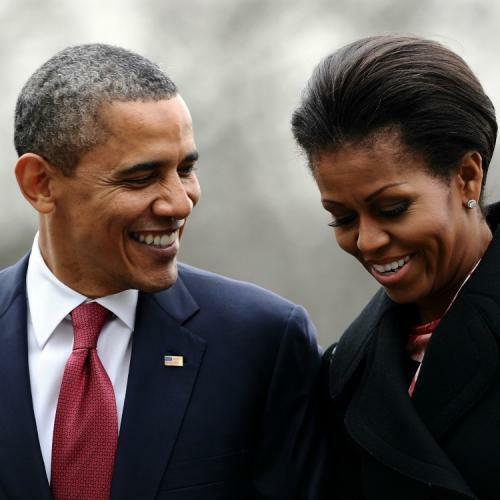 “Michelle and I Are Hosting…” Plus, Other Notes for the New Year. President Obama has asked me to dinner, and maybe he has asked you, too. Well, as you can see below, it is not exactly an invitation. And it’s not an auction either. It’s “bingo” and, I suppose, that’s as democratic a process as it comes. Or as populist, for that matter. All you have to do is give Barack’s campaign three bucks and you’re entered in the sweepstakes. You can bring a guest. Who wouldn’t? Your spouse, your partner (which has now replaced “significant other” in the lingo), or just a friend. Anyone. But not White House gate crasher Tarak Dirham Salahi. Nor his estranged wife Michaele who now pals around with a founder of the classic rock band Santana, more recently playing with the newer “prog rock” group Journey. Oh, and Michaele reminds me of Michelle: “It’s not often that Michelle and I get to host a casual meal with friends.” So now for $3 (and if you are lucky) you will be called friends. It’s not all that often that Michelle and I get to host a casual meal with friends. That’s one of the reasons we’re both excited about the upcoming dinner with three supporters and your guests. It’s the first one we’ve ever done like this together, and we’d love to have you and whoever you choose to join us. Chip in $3 or whatever you can today -- and you’ll automatically be entered to be one of our dinner guests. I enjoy these dinners not just because they’re a way to connect with supporters across the country. They also say a lot about what kind of campaign we’re running. We don’t take a dime from D.C. lobbyists or special-interest PACs -- never have and never will. Instead, we believe in the kind of politics that gives everyone a seat at the table -- so we’re literally offering these seats at dinner to folks who are willing to step forward and be a part of it. There are just a few days left to add your name for a chance to be one of our guests at the next dinner, and help build this campaign before 2012 finally arrives. There’s other information in this particular link. One is that the campaign will pay for your airfare to the dinner from wherever—and the $3 option appears nowhere on the legal form you have to fill in. Has the $3 contribution disappeared as a choice? The line that begins with “https:” repeats precisely the link above. So, since there will only be three designated dinner guests (and their guests), I wonder how the choice will be made. Will the meal and the talk during it be publicized on the web and in which of the myriad possible venues? In any case, since there will only be three winners, your odds are like those who buy lottery tickets for oodles of millions of dollars. Please don’t imagine that you are entering the ambassadorial sweepstakes like those that got our envoys to Belgium, the United Kingdom, and plenty of other states. You have to be immensely rich even to aspire to such posts and then “bundle” hundreds of thousands of dollars for the candidate of the poor and the distressed.